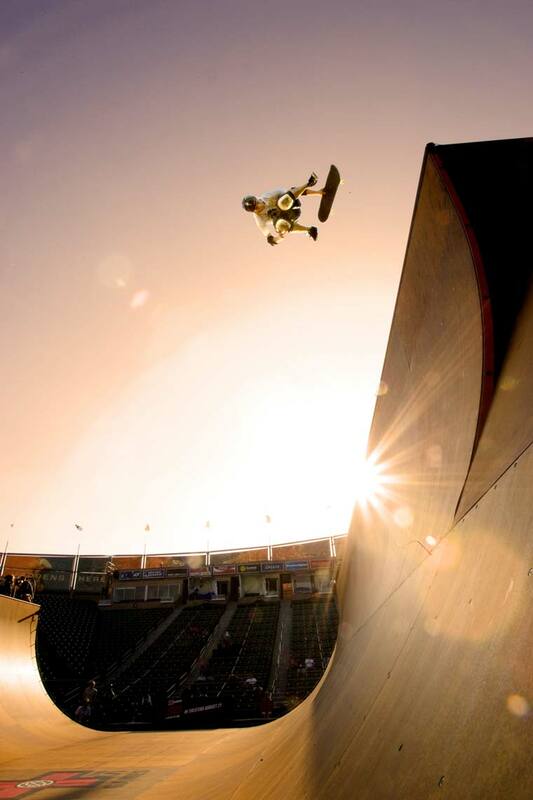 Pierre-Luc Gagnon flys high above the ESPN Summer X Games 15 vert pipe in Los Angeles, California. Pierre-Luc Gagnon went on to win a Gold medal. Tight cropping and interesting, sunset natural and artificial lighting and strong composition make for a great graphically clean photograph.